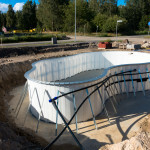 Pool framework for the upcoming Aquispool fantasy 24 pool is finally mounted together. 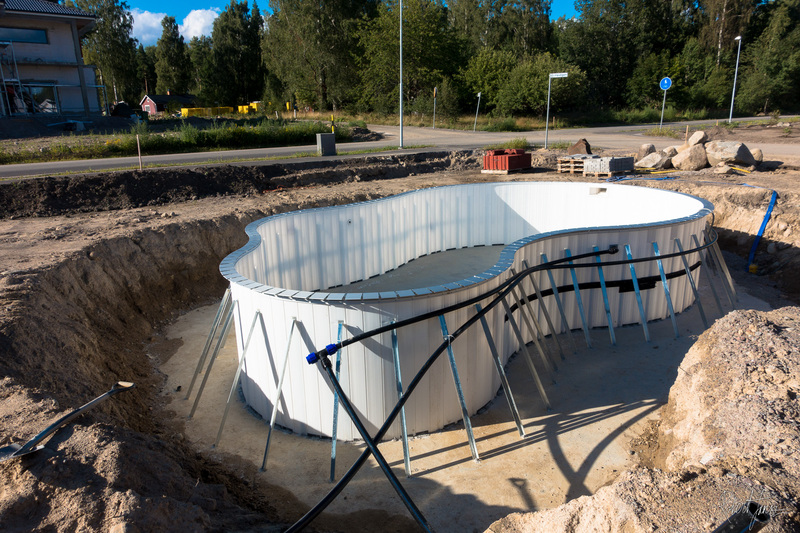 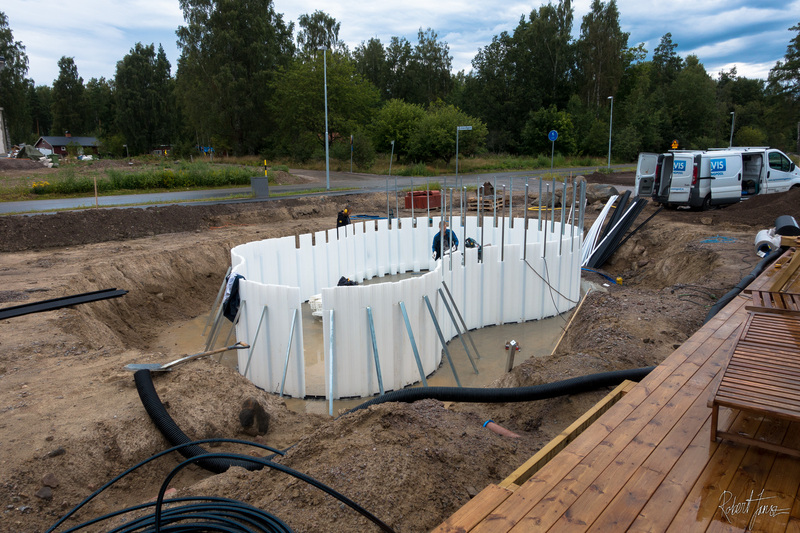 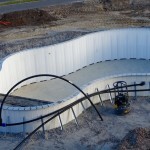 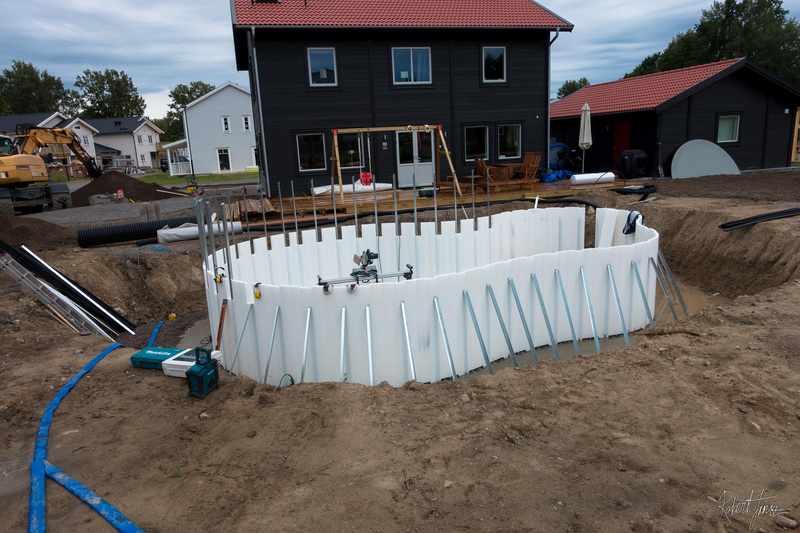 The pool framework contained of plastic studs mounted together forming the shape of the pool, then bolted to the concrete ground and supported with metall studs on the outside. 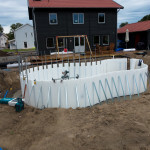 When the pool framework was mounted together the process to refill with gravel outside of the pool framework. 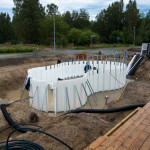 Remaining work is to mount the pool liner inside the framework and after that start to fill up with water.